And man, was it good. 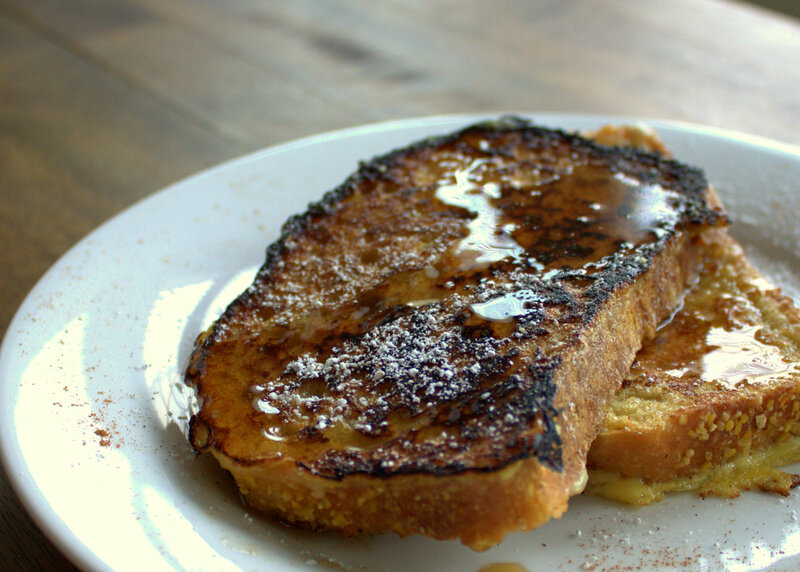 I would attribute this largely to the simple fact that French Toast, by nature, is good, but the Eggnog and the English Muffin Bread as a combo really hit it out of the park. And to be fair, I’m sure all the booze in that eggnog preserved it just fine. I combined the eggnog with a few eggs and some cinnamon and nutmeg, then soaked slices of bread in it. This is precisely what Sundays are for. 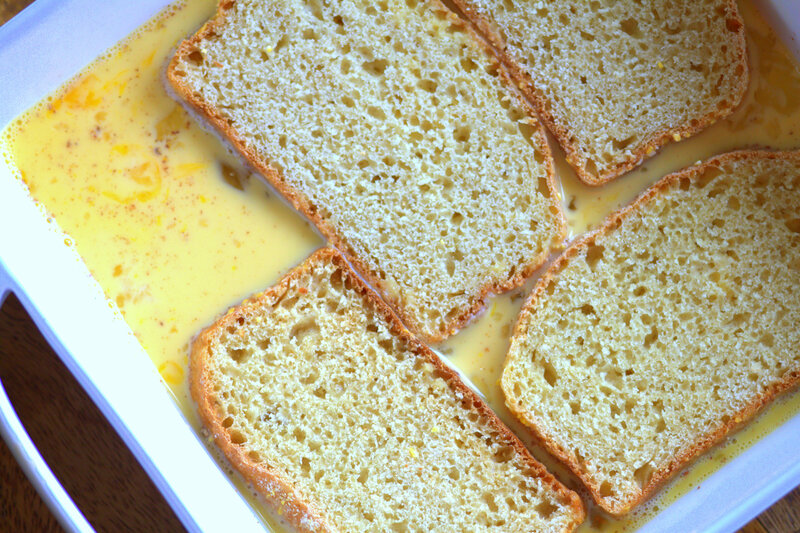 Whoever thought to soak bread in sweetened eggs and milk before frying it up in some butter was really on their game that day. Mix the eggnog, eggs, cinnamon, and nutmeg in an 8 x 8 in. baking dish. 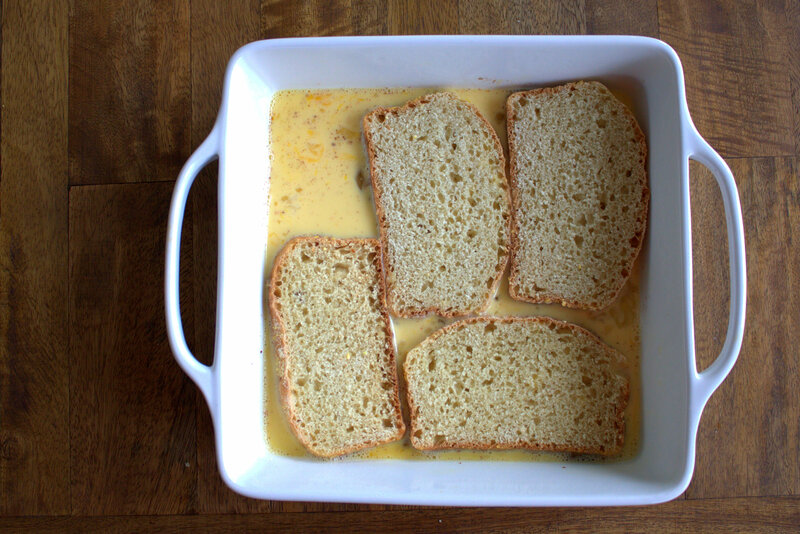 Soak the bread slices in the eggnog for a few minutes on each side while you heat a couple tablespoons of butter in a skillet on medium heat. Cook the bread on each side for approximately 2 minutes or until it’s slightly brown. Then serve it up with powdered sugar and/or maple syrup. YUM!!! 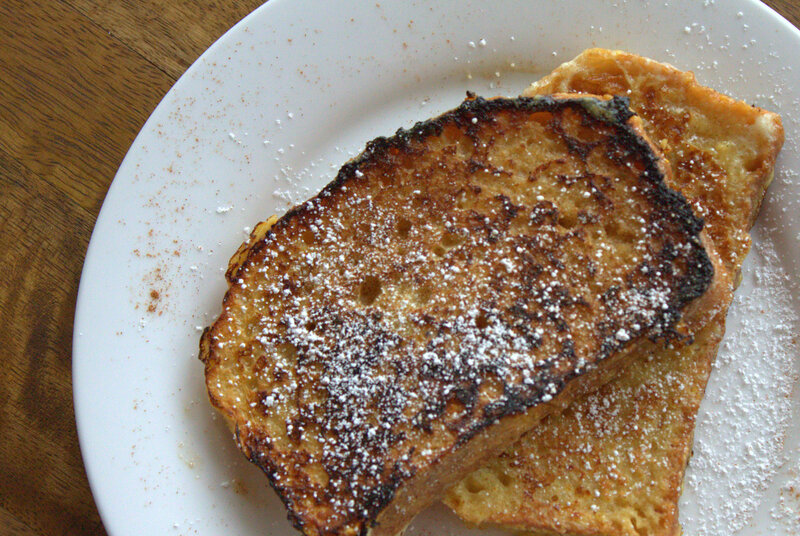 French toast is always good, but this looks and sounds incredible. Good food and environmentally friendly too. Waste not want not. It’s great to disguise dessert as breakfast. What is breakfast, if not another opportunity to eat dessert?